Thank you for this interview it is anhonorfor me toi nterview such a Legend…. Whatdid you want to do when you were at school for a career and what was your first job? At school I had no idea what I wanted to do as a career but I hoped it would be something based in the arts and I was preparing to attend Glasgow School of Art. I had owned a ZX Spectrum for a few years and I had started creating mockups of new arcade games that weren’t on the Spectrum just to see what they’d look like. I put some on a cassette and sent them off to a few software houses before sending them to Ocean who asked me to come for and interview. That was my first job! I started with a ZX81 which I could’ do much with. 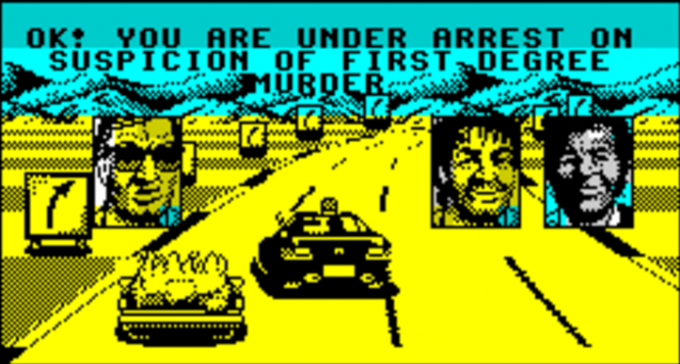 I then got a Spectrum and started typing in listings and modding existing games, adding my own graphics to them. I understand Ocean was not your first choice to work for as they had been bringing out a few low quality games such as Knight rider. What company was your first choice and I bet your glad you did go to ocean in the end? I started sending my work to places like Elite and Electronic Arts with varying degrees of success but I mostly got demands for more work examples. I then decided to send my tape to Ocean even though at the time they had a dreadful reputation. Even though they were in a quality dip in production they had still published some of my favourites games. Was it Gary Bracey (RGM Interviewed) who convinced you as he was building a new team? Yes, he offered me job on the spot. I accepted even though I didn’t know what I would be working on. What was your first day at Ocean like and who made you feel welcome? I had travelled down to Manchester from Scotland on the Monday and I didn’t arrive until about lunchtime. The first people I met were Lorraine Starr, Gary Bracey and Steve Wahid. I was then put in a room with Allan Shortt who I worked with many times and remained my friend until his untimely death a couple of years ago. 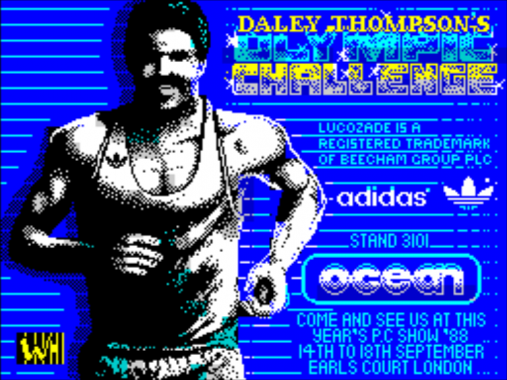 Your first project atOcean was Daley Thompson please enlighten us what was involved and what tools and timescale to make the game? We were told that we were making another version of decathlon in time for the 1988 Olympic games which were rumoured to be his last. 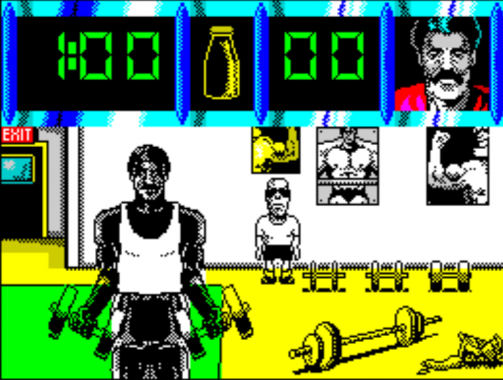 The game would be similar to the others with the added features of training and choosing different footwear per event (both of these features had little or no effect in the final game). 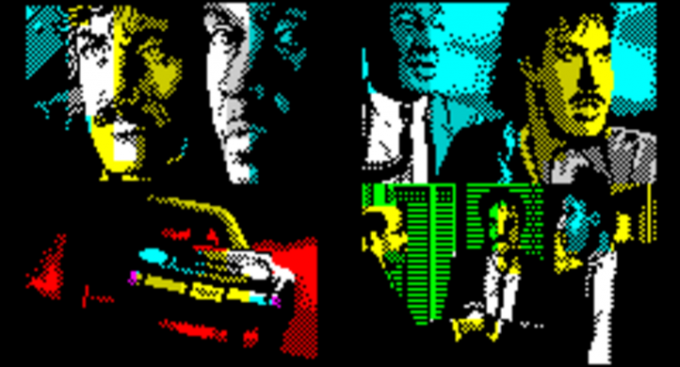 It probably took us 5-6 months do complete the Spectrum and Amstrad versions. What is your favouritegameyou have worked on during your time at Ocean? 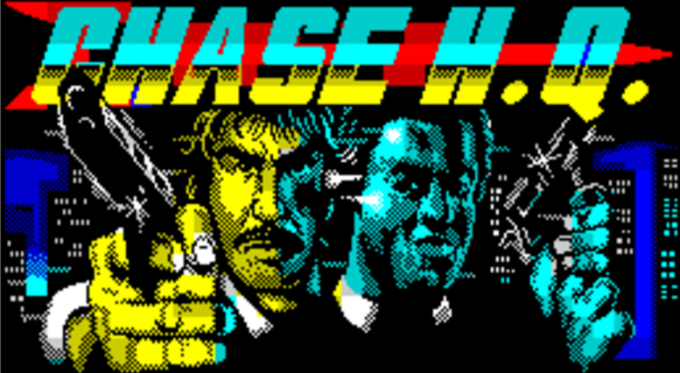 I probably enjoyed working on Chase HQ the most since it was a big title and we were given the freedom to add as much extra content to the game after the main bulk of the work was done. You worked with John O’Brien on Chase HQ which was one of the biggest hits of its time was that down to you and John working well together? I think it was. 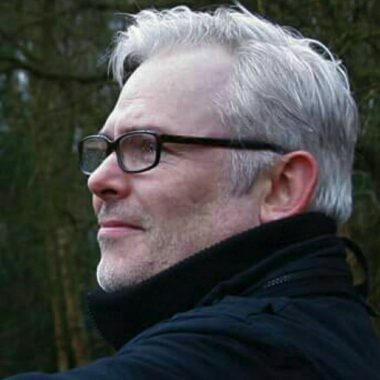 I was trying to keep up with John and his ability to make amazing things happen on such a limited machine and I didn’t want the game to be criticised for having dodgy graphics. Are you still in touch with him or anyone else from Ocean? No, we lost touch after we both left Ocean. I have no idea where he is. 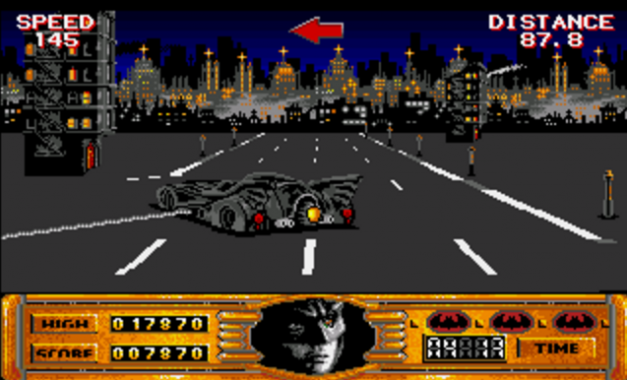 I am a Huge fan of Batman the Movie please enlighten us with your involvement? 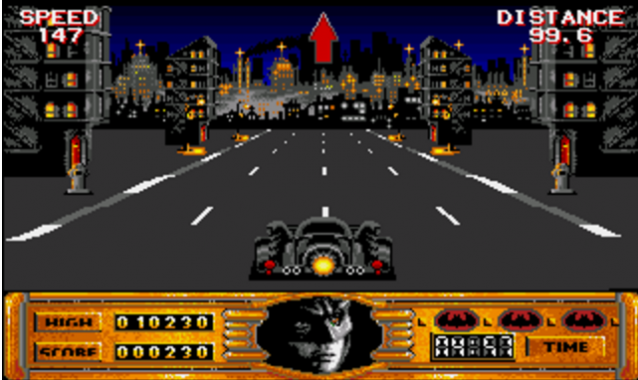 Since I had done successful work on Chase HQ I was asked to work on the Batmobile section of the game and do a lot of the background graphics in those 3D sections. 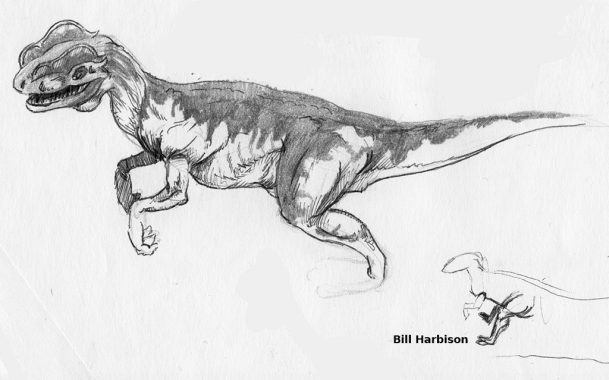 You actually made quite a few movie games such as Batman, Lethal Weapon and Jurassic Park what was your favourite (do you have any Concept work for any of your games we can use)? 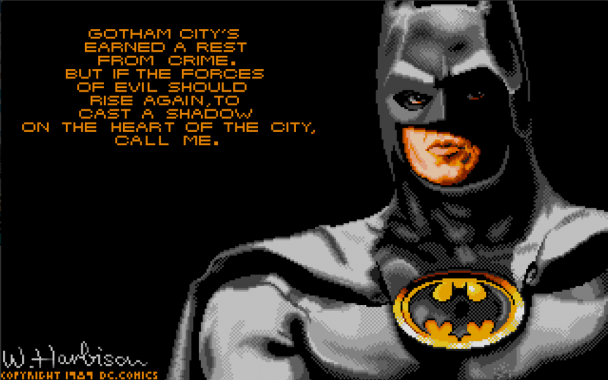 I enjoyed Batman the most since I was back working with John and we were working on an even bigger licence on a more powerful machine (Amiga/ST) with loads more colours. When and why did you leave Ocean? Things were going downhill. There were vast amounts of money being spent on machines that most of us took months to learn how to use. 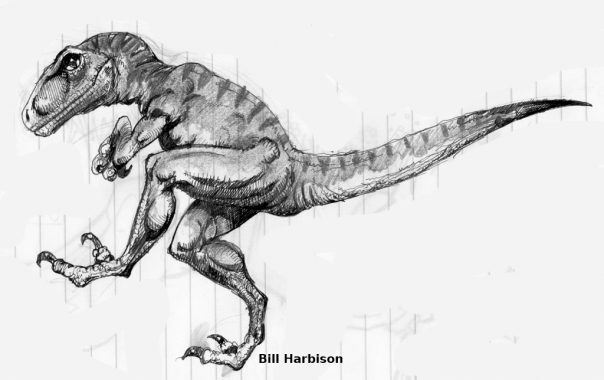 Also lots more people were being employed to work on games that were either horrendously late or were never finished. Worst of all Gary had decided to leave and new management was brought in to run the company. It was never the same after that. Would you ever like to reunite the old Ocean team for a new project? I doubt anything like that will have happen but I have worked with a few old Ocean staff on various projects through the years. 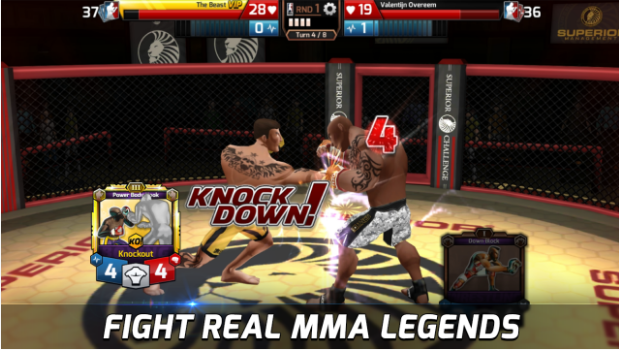 At the moment I’ve just finished a game called MMA Federation which is available on iOS and Android. 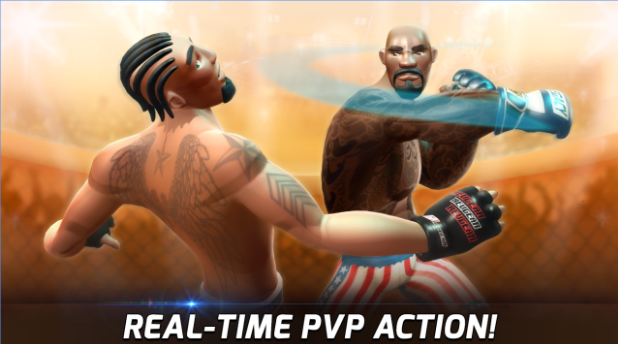 It’s a strategic fighting game with lots of customisation and live online matches and tournaments. You should try it out. The industry has changed a lot and not for the better. Games now have to cater mainly to the bottom 5% of the population and because of this players have to be dragged by the nose through tutorials and have everything explained to them. Also because of the invention of free-to-play games people will balk at paying even as little as 99p for a game. Although on the positive side there are lots of utilities out there for kids to develop their own games and applications and with the invention of the internet, everything they could ever want is at their fingertips. Not like in our day, we had to go to the library if we had to research anything. My favouritecomputer was my Amiga and 2 of myfavouritegames were Cannon Fodder and SWOS 🙂 and my favourite console theMegadrive do you have a favourite? I think my favourite would have to be the N64 and favourite games would be Legend of Zelda: Ocarina of Time and Goldeneye. The only one I still have is my N64 but I don’t play on it. The worst game I played was The Great Space Race on the Spectrum. I remember it being really expensive at the time. I bought it cheap, for £1 i think, not long after it was released. It was awful. It looked like it was written in basic and it looked terrible. It wasn’t even worth a £1 for the big, moulded, plastic case it came in. I’d like to see more about newer titles being produced for those vintage machines. I find it fascinating what people can do with old technology, I’ve been impressed with what I’ve seen so far.